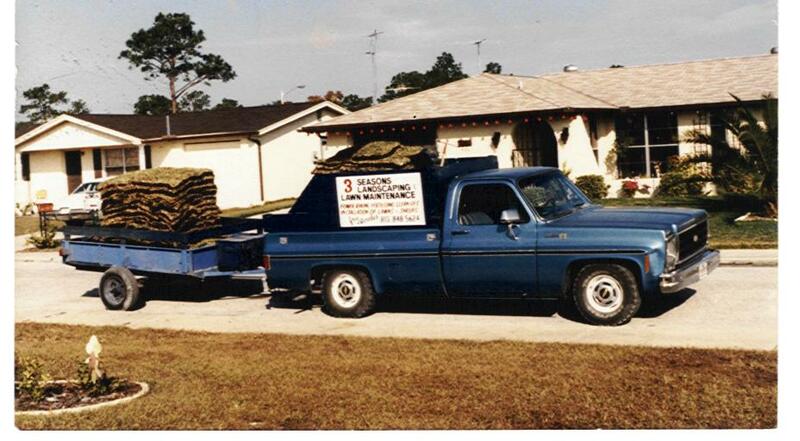 How We Got Started - 3 Season's Lawn & Landscape Inc.
Joseph Lombari started his interest in lawn care at only 12 years old. While living in his hometown; Long Island, New York; Joe had his own paper route and landscape business. Due to health issues with his father, Joe and his family moved to Florida right after his 16th birthday. He got a job at Winn Dixie, but Joe realized how much he hated working indoors. He wasted no time once he arrived in Florida though, quickly gaining new clientele here in New Port Richey. Joe established himself as the neighborhood kid who mowed the lawns of retirees. While attending Hudson High School, Joe participated in Future Farmers of America. His teacher Tracy Conley saw Joe’s potential and became his mentor. Knowing that Joe was not in a financial position to attend college, Tracy suggested the Pinellas Vo Tech school and took him there herself. Once Joe graduated high school it was time to formalize his business pursuits, and 1983 was the year 3 Seasons Lawn & Landscape was born. Being from New York the company name was an obvious reference to the absence of Winter. However, after becoming more familiar with the tropical weather Joe soon changed his description of 3 Seasons to be “Hot, Wet & Dry”! In 1985, Joe met the woman he would eventually marry, Donna. Donna shared the same drive to succeed and wasn’t hesitant to dive right in where she was needed. Donna did her part in keeping the business rolling smoothly by handling the quickly advancing administrative duties. Together Joe & Donna have turned 3 Seasons into a multi-million dollar business, and continue to do their part in serving the community of Pasco County.